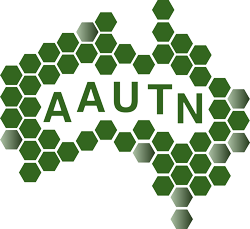 The Australian Awarded University Teachers’ Network provides networking, promotion and dissemination opportunities for Australia’s award winning teachers, in order to champion excellence in learning and teaching. The Network harnesses their collective skills and experience to inspire and guide the next generation of award applicants and recipients through mentorships and informal knowledge dissemination. The Network is comprised of outstanding university educators, all of whom have received Australian University Teacher of the Year Awards, Awards for Teaching Excellence or Citations for Outstanding Contributions to Student Learning. This website is designed to showcase and promote these teachers and provide them with an online resource for networking, professional development, mentoring and career support. It is also intended to be a resource for aspiring award applicants, providing information and advice on preparing for and developing an award application. In the current education environment there are many complexities and challenges facing our tertiary educators that have implications for policy, infrastructure and the way we teach. Each year university teachers from across the Australia are recognised for their exceptional record of advancing student learning, educational leadership and scholarly contribution to learning and teaching. This website, produced by the 2016 Victorian Tasmanian Promoting Excellence Network (VTAS PEN), captures the profiles of Australia’s most highly recognised teachers – the recipients of the Award for Australian University Teacher of the Year (AAUTY). The purpose of the website is to take a first step in creating a national network of leading educators. 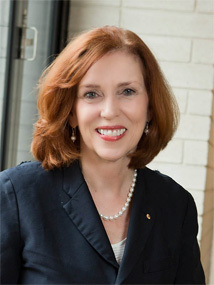 Since 1997, the Australian Teacher of the Year Awards have been presented for the most outstanding achievements in university education and teaching. Academics who are recognised as a Teacher of the Year demonstrate an exceptional record of leadership in advancing student learning and scholarly contribution to pedagogy. The advantages that recipients of the award have provided to the quality of education in Australian universities are invaluable. But the Australian Teacher of the Year Awards recognise that the benefits of teaching excellence extend beyond higher education. Outstanding teachers help develop graduates who are able to contribute to the important issues for our future and so build smarter workforces and enhance our communities.